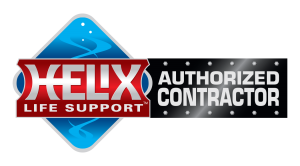 We Are Proud to be a Helix Authorized Contractor. The Network of Helix Authorized Contractors is Group of Like Minded Pond Construction Professionals with a Vast Knowledge of Pond Construction Techniques. KOI Smart is the Smart Place for your ALL Pond Product Needs. If you are looking for the Largest Selection of Pond Supplies in South Florida, Make sure you Visit our sister company Store located at: 6440 Garden Rd Riviera Beach, FL 33404 or Call (561)408-2739. With a Full Selection of Pond Supplies, Aquatic Plants, and Domestic and Imported Koi, this is the place for the pond enthusiast!